A consultation usually takes an hour, but can often run over. During the session, my goal is to identify the dominant energy patterns in your family tree which may be affecting your life today. Once those patterns have been identified, we can then explore why they are still hanging around, and ultimately, how to change them. 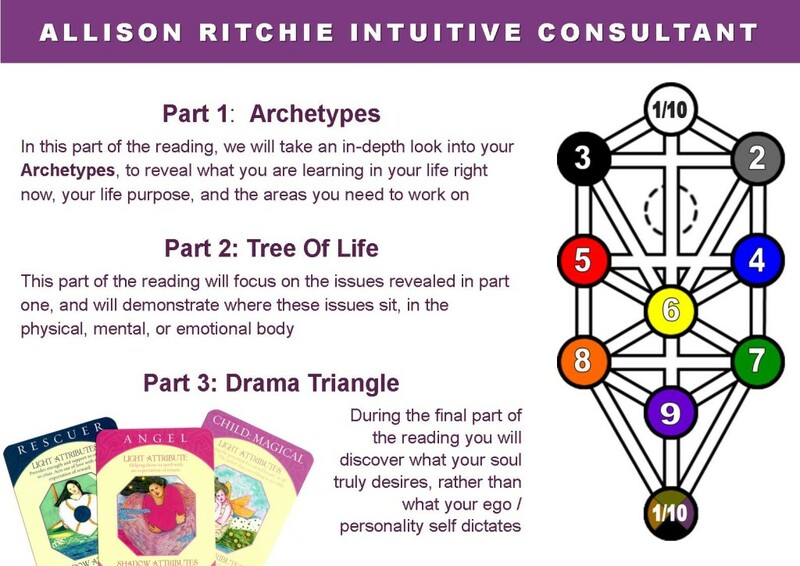 I use Archetype cards based on Jungian psychology for the reading. Archetypes are characters that are instantly recognised by our psyche, and they allow me to tell a story which can be easily assimilated by the subconscious. I also use elements of the Qabalistic Tree of Life combined with numerology, called Life Codes. I have found that this method has helped many people from all walks of life, some who have never had a reading and some who are healers themselves and have perhaps done a lot of inner work. Many issues can present themselves in relationships, in work, in finances, anywhere that a block or difficulty arises. These issues may not always be ancestral in nature, they may be life lessons that you are going through. However I have found that exploring your family history can shed a light on your current experiences. Many of my clients have reported a period of time following our session where things seemed to fall in to place and there were many ‘aha!’ moments.